For at least twelve years Telford have been manufacturing and supplying a range of “thermal stores” under the brand names of Tristar™ and Tristor. They started with three different models; Combination, Open Vented, & Sealed System for both boiler application and fully electric. They now have over 100 models and can offer “Bespoke Design & Size” on all units. All of Telford’s thermal stores can be manufactured to accept any heat source that is currently available including Solar and range cookers. Tristar and Tristor can be manufactured to suit both “Active” and “Non-active” heating applications and from fully pumped systems to zone control and underfloor systems. Over the years research and development in partnership with others has led to the development of many variants to meet specialist requirements; including OEM models for use in the underfloor heating and solar gain markets. These can, on request, be branded with the customer’s name. Recently Telford have developed, in conjunction with a major house builder, a thermal store unit that has provision for a washing machine under the unit and is supplied with plumbed washing machine leak detection and failsafe water protection. This has proved popular with insurance companies and developers of multi-storey properties alike. Another very popular system Telford have developed requires no overflow or discharge pipe work on installations, ideal where access to a suitable discharge point is difficult or impossible. 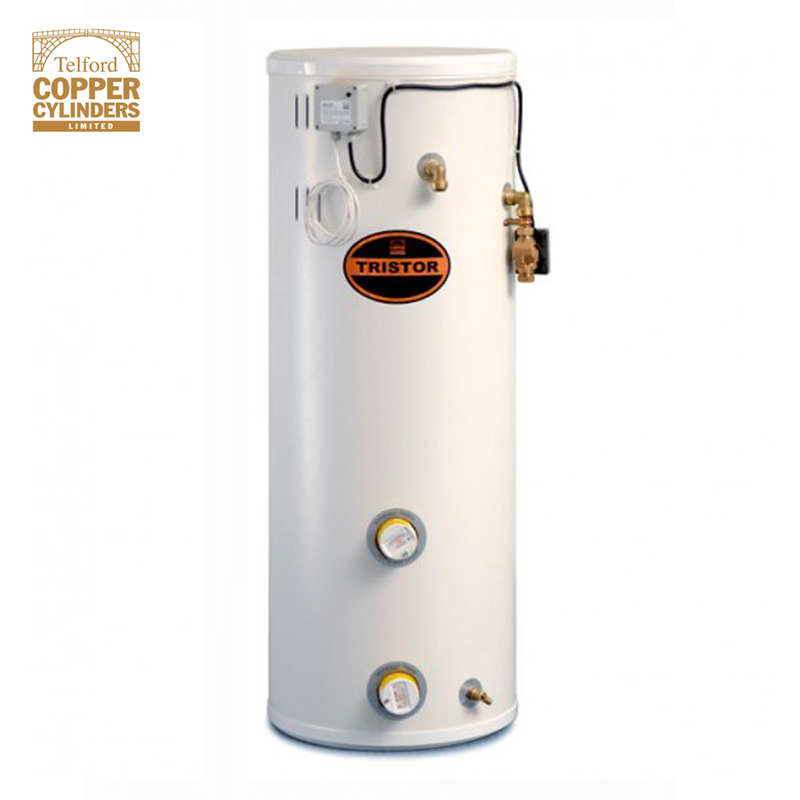 The added advantage of thermal store mains pressure installations is that the installer does not require special qualifications, plus Telford Copper Cylinders will provide first class technical backup and customer support.